There’s nothing like longevity to conjure the kind of telepathic chemistry that makes for the best jazz, and the members of The Humanity Quartet have been creating music together in a staggering variety of contexts for more than 30 years. “In-demand” is a term that can only scratch the surface of the four instrumentalists’ ever-growing resumés. 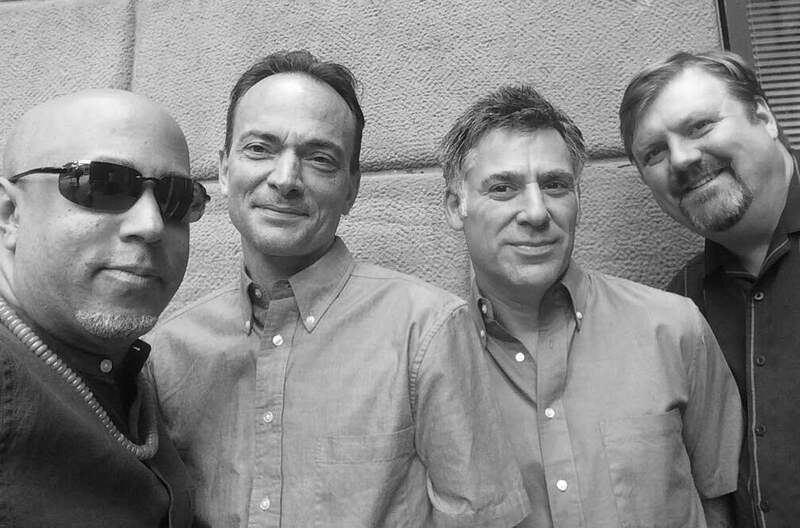 Saxophonist Joel Frahm, guitarist Peter Bernstein, bassist Sean Smith and drummer Leon Parker have all chalked up countless hours in the New York scene and around the around, playing with a who’s who of peers and legends. Their generation-spanning collaborations testify to each member’s unique role as both torch-bearer and innovator, carrying the jazz tradition steadfastly forward. Its members have been associated with the likes of Sonny Rollins, Gerry Mulligan, Benny Carter, Phil Woods, Johnny Griffin, Lou Donaldson, Dewey Redman, Lee Konitz, Betty Carter, Mark Murphy, Kenny Barron, Dr. Lonnie Smith, Tom Harrell, Jacky Terrasson, and Brad Mehldau, among many others. Deeply rooted in tradition, with an indelible emphasis on swing and infectious melody, the message of the Humanity Quartet represents a sharing of ideas and feelings that bring people together in an increasingly divided world.